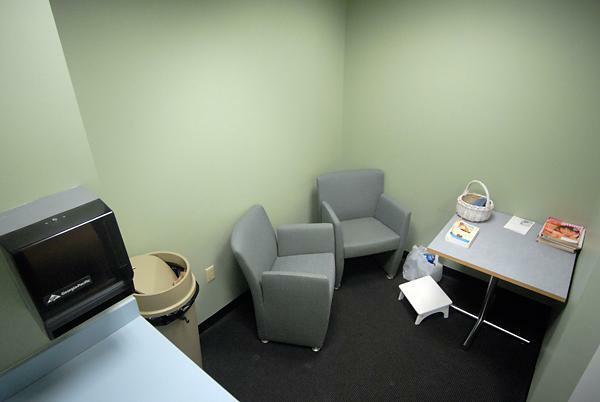 There is a rarely publicized Lactation Station at Christopher S. Bond Life Sciences Center at Missouri University. The small room contains two chairs, a foot stool, a table, a garbage can and a sink. It's designed for mothers who are in need of a place to breast feed or pump breastmilk. The Bond Life Sciences Center is open from 7:00 am - 6:00 pm, Monday through Friday.